Beaumont, TX's Barbara Lynn has continually defied the odds in her 60-plus years in the music industry. 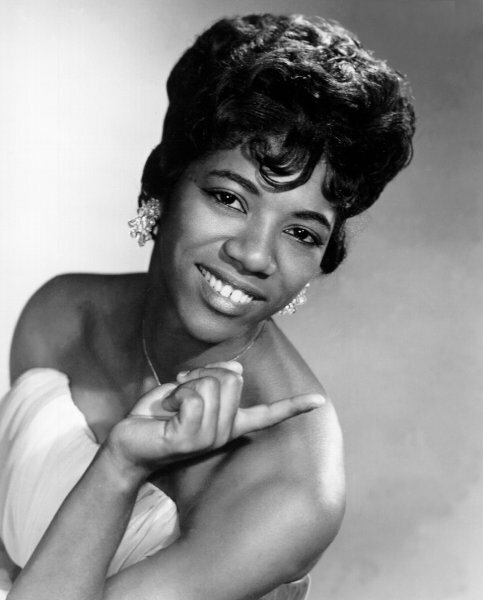 When the majority of 1960s pop and R&B stars were recording cover songs from the hit parade, Lynn was not only writing her own hits, but fielding a call Mick Jagger asking for her blessing for the Rolling Stones to cover her song, "Oh! Baby (We Got a Good Thing Goin')". And the calls kept coming: Aretha Franklin, Otis Redding...everyone wanted to cover the deeply soulful songs written by the young southpaw guitarist from the Texas Gulf Coast. In advance of her upcoming travel to Washington D.C. to accept the NEA National Heritage Fellowship Award on September 26 (the nation’s highest honor in the folk and traditional arts awarded annually by the National Endowment for the Arts), Lynn took time out of her busy schedule to speak with the TMO about the long musical road that has brought her from being a teenage hitmaker to being officially recognized as a national treasure. Lynn still performs regularly around the country, showing no signs of slowing down (she performs Sunday, September 9, at the East Side Kings Festival in Austin). Her schedule is so packed these days that it took four attempts to coordinate the following interview in between her documentary film tapings, headlining shows, and radio interviews. 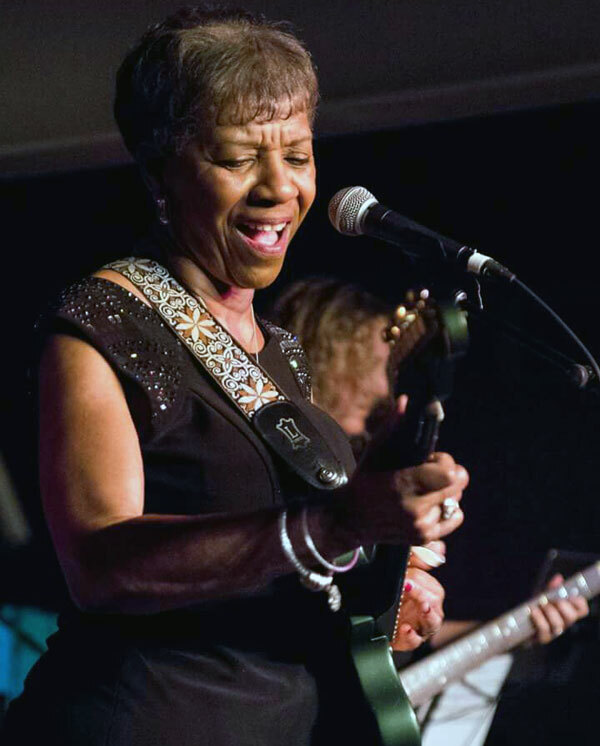 And alhough it's been a few decades since she topped the charts, the electric blues guitar-playing living legend is arguably more popular now than she has ever been. TMO: Thanks for taking time out of your schedule to speak with us. I've actually seen you play several times...including at your last show at Antone's. Lynn: "That one, well...it could have been better though. But thank you anyway. Thanks. I just felt like...I know it could have been better." TMO: Well it was really fun seeing you play with Sarah Brown and Eve Monsees...and having all three women right in front, rocking out! TMO: That chemistry between you three made me curious about your shows. I've seen you play at the Ponderosa Stomp in New Orleans, and in East Austin, at the North Door. And I think you had different backing bands for each show. So I was just curious how you go about putting a band together when you book a show. Do you have people in mind, or do you work with the people promoting the shows to put together a backing band, and then you send them your setlist? Lynn: “Once you have played with a band for awhile, they get to know your songs. So like, when I play with Zach Ernst (one of her associates and sometimes guitarist) - the guy who I've been playing with forever - they really know my songs, my keys, and so I really don't have to do much!" TMO: Is Zach one of the same guy that leads your backing band at Ponderosa Stomp in New Orleans? Lynn: “At the Ponderosa Stomp, you're talking about Lil' Buck (my backing band leader in New Orleans). Now Lil' Buck, he definitely knows my list. He knows all those songs." Lynn: “You're right. It does." TMO: Regarding your unique style: did you teach yourself? I read that you had a piano teacher. Did you ever have a guitar teacher? Lynn: “No, Marc. I really taught myself how to play the guitar because...because that's really the instrument that I wanted to play. But my parents wanted me to take piano lessons, which I really wasn't that interested in. I really wanted to play something very unique, something you very seldom see a lady play. Yeah, yeah. Because during the early '50s and '60s, there weren't many girls around playing guitar, especially black girls, you know. "(If the school knew), they might (kick me out). But I was still able to do it. My parents, my mother, would chaperone me." TMO: Can you tell us about one of your first groups, Bobbie Lynn and Her Idols? Lynn: “I formed this girls' group when I was still in elementary school, and I named it Bobbie Lynn and Her Idols. A lot of kids around here were calling me Bobbie Lynn. But as time kept progressing and going on and everything, we were really playing some top talent contests...and we were winning them! We were the number one girl group over here at this particular school. And it was called Blanchett Elementary School. So that's really how I got started: writing poems, setting them to music, and writing my own songs." TMO: Was it difficult to find other girls who were playing instruments or was it pretty easy in Beaumont? Lynn: “It wasn't pretty easy, no. In fact, if I did find somebody, a lot of time they couldn't travel anyway...to go a lot of places. So, the kind of group that I had, they just performed background singing with me. And I did the playing! (laughs) I did the music, you see. And then they (helped) with the vocals." TMO: So at that time, y'all were more of a singing group? Lynn: “Yes...um, hmmm. There ya go." TMO: Could you tell us about when you were traveling from Beaumont to New Orleans with Huey Meaux to record, and tour? Did you ever encounter any discrimination? What were those drives like? Lynn: “Not really. In fact, I really don't discuss too much on Huey Meaux, who is deceased now. "After the song I wrote 'You're Gonna Lose A Good Thing' started making a lot of noise, I had to go on tour. And a lot of times it would be me and Huey, and we'd be going on these trips together, along with a lot of the other acts too (on the revue tours). And I really didn't have too much, how would you say, I really didn't encounter too many bad things. A matter of fact, when I played across the Louisiana state line, in Vinton, LA, I played at a little club there. And in fact it was really the singer Joe Barry that went back and told Huey Meaux about me. "He said, 'Man, I just seen a young black girl playing a left-handed guitar, and she can sang too.' (laughs). So that's when Huey Meaux contacted me to go into the studio to do an LP. But then, like I said earlier about the song taking off and everything, we were going a lot of places (to play shows). And of course, some of the places, I had to go through the back door like any other black person had to do, you know. But still, in all, these people accepted my music, they accepted me because they were so enthused to see me play guitar. So I was able to go ahead on, with no problem after that." TMO: And were the audiences integrated? Lynn: “No. When I started out in the early '60s, the audiences were segregated. "So it was me and my whole band that I had at that time. We all had to go in the back door, you know. But me and my boys, we never had no...never had nothing bad happen...that I could really say..."
TMO: And since the audience was segregated, would you do a show in a black club, and then one in a white club. Or would it be segregated audiences at the same venue? TMO: That's cool. That makes you a pioneer! Lynn: “Yes Lord...all these years...When 'You'll Lose A Good Thing' came out, I was about 19 I guess, 19 or 20, and boy..."
TMO: The list of lengendary artists you toured with back then is long: Jackie Wilson, Sam Cooke, Otis Redding, James Brown. I know musicians can be competitive, trying to one-up each other and stuff - all in good fun - but were there any that stand out to you that you toured with that you thought were the real deal? Any that gave you advice, or that you really clicked with? Lynn: “For sure. I had these musicians that I'd work with, in some of these (other) artist's bands. And after the performance, during the breaks, some of them would come up to me and ask, 'Man, Ms. Barbara, how do you do that playing where you use your thumb?' Most guitar players don't even need to use their thumb, they use their fingers (for chords), or whatever. But I had to start using my thumb when I first started playing guitar. So I used the thumb as my drum (laughs)...as my beat. That was my beat. So that's how I came to create my own style. "And a lot of the older musicians, still to this day, say, 'How did you play that guitar like that?' I say, 'Hey, whichever way I play, it gets the job done for me.' (laughs). It gets it done." "Then I get another call to go play somewhere else (in the world). So hey, it is working." TMO: Of the musicians you played with back then, who would you say was one of your favorites...between the Otis Reddings of the world, and James Browns, and the likes of Ike and Tina? "But I really liked Jackie Wilson. He was one of my favorites. Jackie Wilson. The way he would perform. After I finished doing my set, I'd go backstage and look through the curtains and watch him perform. And if he felt he didn't do a good show...see, he wanted the women to like, tear his shirt off when he was on stage. So he felt if that didn't happen, he didn't do a good show. "So sometimes, he'd have to go back on. But that's just how great that he felt that he was. And I really felt the same thing. I really thought he was one of the best artists that I had ever seen. Boy, I just couldn't get over him. "People like me, Tina, and Gladys Knight and the Pips, and James Brown and all them, and Stevie Wonder, we all toured together. We had a lot of fun." TMO: Which begs the question: has anyone ever approached you about making a movie about your life? Lynn: “Someone did. But it never did come to pass." TMO: Well with this NEA Heritage Award coming up in September, you know...I would watch that movie...because your life is just an incredible story. All the things you've seen and places you've been. Lynn: “Yes indeed. I'm so grateful for that. I just thank my lucky stars. I just thank God. "I go to bed at night thanking God, and then I wake up and thank him again...for this, you know. Yes, Lord, I just never thought I would receive something like that..."
TMO: Though you did seem very focused on your music at a very young age, so you had a vision and your voice. I listen to the old Jamie Records recordings, and there are so many songs where the arrangements and the melodies are so sophisticated and very complex. So you definitely had a vision, even if you didn't know how it was going to play out. Lynn: “Yeah, you can say that again. That's because I was writing every evening after high school. I'd come back home and write a poem. Then I'd get ready to set it to music and everything...and work on the way I wanted my music to sound, and the chords, and everything. "So when Huey Meaux heard about me, that's when he came to my parents and asked could he record their daughter. And so my mother and dad said yeah. So they recorded me and I wrote that first album myself, all with the exception of one song by Jimmie Reed. On that 'You'll Lose A Good Thing' album." TMO: Speaking of songwriting, so many artists get in bad deals, or lose their publishing. But it seems like you were able to get and keep all of your songwriting credits. Was that something you had to fight for? Lynn: “Yes, indeed. I did get credit. As a matter of fact, Atlantic Records just re-released a new edition of my old music. They released that about 2 months ago." TMO: I saw that. 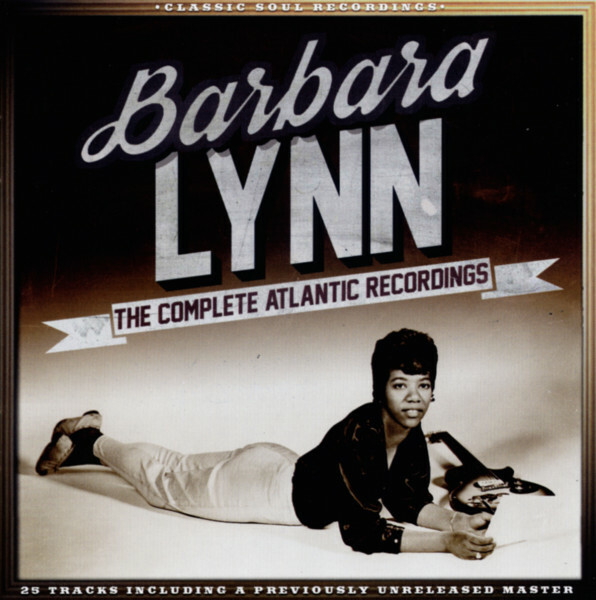 The Complete Atlantic Recordings. TMO: Did you have a manager, or help with publishing back then? Someone to help you navigate how to keep all of that? Or did you have to figure all of that out on your own too? Lynn: “I had help on that, because still today I get my royalties and statements from all my songs." TMO: Did Atlantic Records consult with you about that new release? Lynn: “As a matter of fact, they didn't. But the last company I was with, that's the company that coordinated the rights...and also when Lil' Wayne did my song 'I'm a Good Woman,' he collaborated with that company, the Crazy Cajun company." TMO: Lastly, do you have any advice for young artists, young girls that want to get into the music business, or play guitar, and follow in your footsteps? Lynn: “I hope it would be good advice, as I would tell them if that's what you want to do...you stay in it. If that's what your heart desires...if you want to become a singer. "And, always get a lawyer before you sign any paper with anybody. I would tell any young girl or boy if they were just starting out: make sure you have an attorney, because some company managers, some of them can take another route in your music life. So be sure. "And in your heart, if you want to become a singer, go ahead on. But first of all, you've got to go school: go to high school, go to college, and get that education so that you can read and understand all your contracts! I'd tell anybody that, yes indeed. So that money can go straight to you! TMO: That's great advice. Thanks again so much for taking time out of your busy schedule. Lynn: “Sorry we had such a hard time getting the interview together. It seems like everybody is knocking on my door... (laughs)"
Interview conducted by TMO Marketing Specialist Marc Fort. It has been condensed and edited in places for clarity.